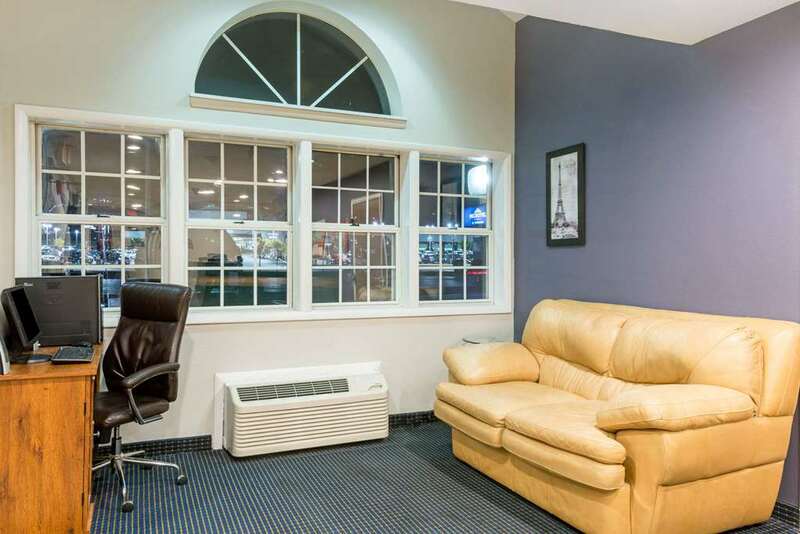 Stop in at this Microtel Inn by Wyndham Henrietta Rochester near Greater Rochester International Airport for a relaxing stay in upstate New York. Located just off Interstate 90 between Buffalo and Syracuse, this hotel is close to the corporate offices of Eastman Kodak, Bausch and Lomb, and Xerox, as well as great shopping and restaurants. Count on amenities like complimentary wireless Internet access and complimentary domestic long distance calls, as well as a complimentary continental breakfast each morning. Pets are welcome, and rooms feature comfortable beds and hairdryer. Select rooms offer refrigerator and microwave, ideal for longer stays.